In our RTO Consultancy Services, we assist you in Driving Licence preparation, Renewal of Driving Licence and all sorts of RTO works, like Duplicate RC, Vehicle ownership transfer, Vehhhicle NOC, Change of address, Change of name, International Driving Licence, HP deletion etc. We provide end to end assistance in all documentation support to the clients. A Driving Licence is an official document certifying that the holder is suitably qualified to drive a motor vehicle or vehicles. Licenses are issued by the Motor Vehicles Department through its Regional and Sub Regional Transport Offices. Any individual attaining an age of 18 year can apply for Driving Licence. Driving licence is issued separately for Light vehicles and Heavy vehicles and for passenger vehicles and commercial vehicles. Duplicate R.C. Book : In case you have lost your RC book, we will guide you through the documentation process and represent you with respective RTO office for issuance of Duplicate RC Book. 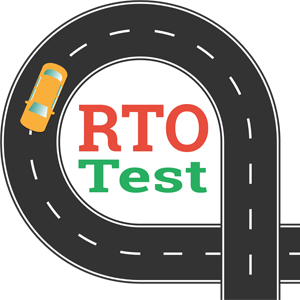 Vehicle NOC : In case you want to transfer your vehicle to some other state, you need to first get NOC from RTO office of the state in which your vehicle is already registered. This NOC has to be submitted at the RTO office of the state where you want to register your vehicle within 45 days to avoid any penalty. HP Deletion : In case you had bought your vehicle through Bank Financing, the vehicle would be hypothecated (HP) with the bank and name of the bank would appear in your RC book. Once you have cleared the loan, you should get the HP deleted. We will take you through step wise procedure of getting NOC from bank for HP deletion in respective forms, required documentation and make your due representation with RTO office. International Driving License : In case you are visiting abroad and want international driving licence, then please contact us with valid passport and visa and we will assist you in the process.